There are so many different Instagram story features that you can use to jazz up your posts, but which ones are the most effective? And which ones will help you increase Instagram engagement? And more than that… which ones are the most fun?! Well, today we’ve simplified everything and broken it down to the key Instagram story features that we think you’ll get the most use out of this year. Sound good to you? Let’s jump right in! One of the funkiest Instagram story features that we think you should take advantage of this year is the emoji slider. You can use this Instagram feature to ask your audience a question in stories and then give them the option to scroll the emoji left or right to show whether they aren’t a big fan of something (left) or if they are loving/agree with what you’ve asked (right). With this Instagram story feature, you can customise the emoji to be anything in your emoji keyboard – a smiley face, a love heart, a frowny face… get your creative on! A while back, Instagram announced their partnership with Spotify which means that you can now add clips from your favorite songs to play in the background of your Instagram story videos. 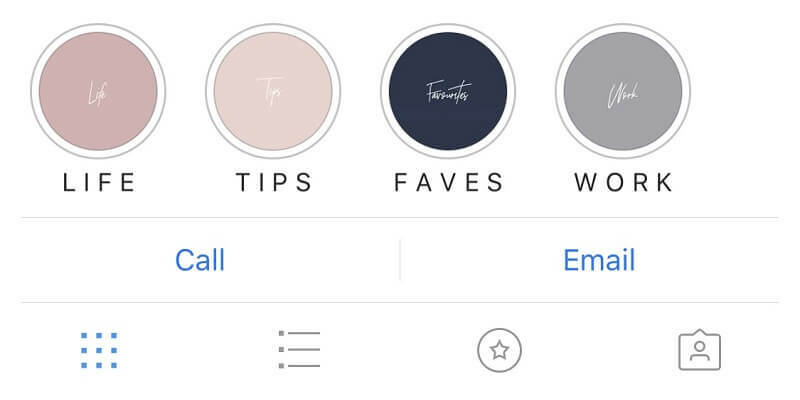 To get started, all you need to do is open up the Instagram app and click on the ‘Stories’ icon. You’ll find this in the top right-hand corner of your screen. From here, you’ll be able to scroll through the list of options (that are slowly increasing) and you can choose the ‘Music’ option. When you open up the music option you will notice that you can search for music to add to Instagram Stories by what is Popular, Moods and Genres. When choosing what song you want to play during your Instagram story, it helps to think back to a song that has lyrics that you really love. PSSST -> Looking for some Instagram Stories hacks to skyrocket your reach? Well, here they are! 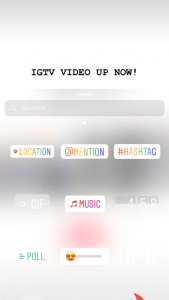 This Instagram story feature may be easy to overlook (we know, we know, it takes a lot of effort!) 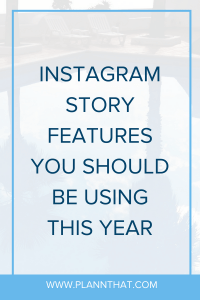 but making the time to design custom Instagram story highlight covers and to plan out what content you’ll share in your highlights is super duper important. You can use your Instagram story highlights strategically to increase sales, help with FAQ’s that you get in your DM’s, and they can help you to entertain new potential followers when they first land on your Instagram grid. You can use Canva or another design tool like Photoshop to create custom Instagram story-sized graphics that you can then upload to your stories (and share with close friends only to not annoy your followers!) so they can be added as highlight covers. Of course be sure to customise your Instagram story highlights to suit your business/blog type and what would be interesting to your followers. You know them best! And if you aren’t sure? Ask them in an Instagram Stories poll… oops, we just sneak peeked the next feature we love! PSSST -> Want to WOW your audience with some cool Instagram Story tricks? Here is a full rundown! This is by far one of our favorite Instagram story features as it really helps to involve your audience and get their feedback in a more specific way than the emoji slider. With this Instagram feature, you can ask your audience yes or no questions. Or you can give them two options of something to choose between. We’ve even seen people use polls in multiple Instagram story ‘slides’ one after the other to narrow down options and get very detailed poll results. PSSST -> Want to know how to add neon emojis to your Instagram Stories? Well, here you go. Holy macaroni, that was a quick (but punchy) blog post, wasn’t it? We hope that you love these Instagram story features as much as we do. Although they may seem simple, these features are great staples to use in your weekly Instagram posting schedule. And if you’re yet to start scheduling your Instagram in advance with our handy dandy app, give it a try! We think you’ll absolutely l-o-v-e it!